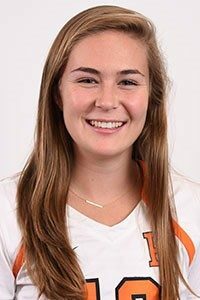 Annie Cory ’20 is a junior midfielder on the women’s lacrosse team from Charlottesville, VA. During high school, she was an active member of Lacrosse the Nations (LtN) – an international non-profit that teaches under-privileged children health and wellness through sport. She traveled to Nicaragua with LtN during high school and spent the summer after her freshman year interning with LtN to enhance and build their domestic programs. Annie is most excited about joining SASC to bring her experience of sport-oriented service to the Princeton community.